What Is Six Sigma White Belt? If your company uses Six Sigma, or is considering it, Six Sigma White Belt training can help you understand the method and your role in it. The Six Sigma quality-improvement method focuses on streamlining processes, reducing errors and improving product quality. 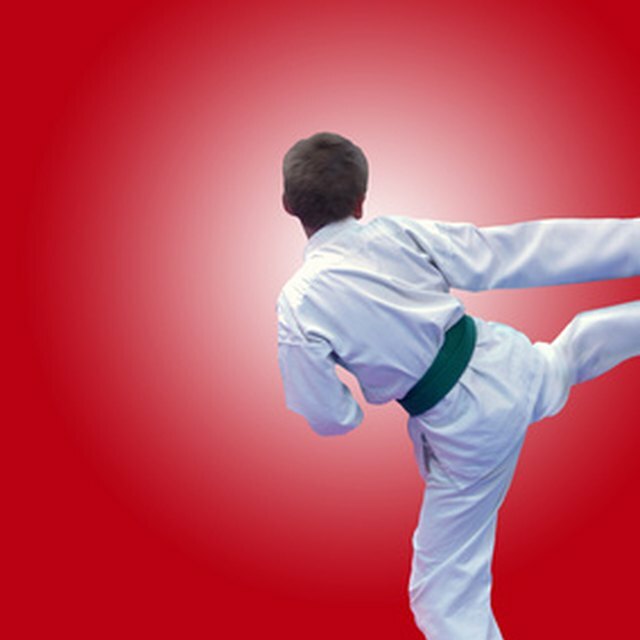 Levels are designated by a belt system similar to that used in martial arts, starting with the white belt. Developed by Motorola in the mid-1980s, about 35 percent of U.S. companies employed Six Sigma by January 2006, according to a Bain & Co. study cited by "Businessweek" in its Sept. 10, 2009, article "Six Sigma Makes a Comeback." The article also identified several major companies--such as Merck, Pfizer, Target and Dunkin' Donuts--that subscribe to the method. With so many companies turning to Six Sigma to help improve quality and lower costs, numerous business professionals seek a basic understanding of its principles. You can receive Six Sigma White Belt training online, as part of an on-site program at your company or at a workshop or seminar held at a facility. Because Six Sigma White Belt is an introduction to Six Sigma, it is the most basic method and training requires less time than other levels. At Auburn University, for example, attendees can complete White Belt training with a one-day session, in which students learn the basic principles and how to use the method's statistical tools. Other providers offer this course as part of the training for the next level, Six Sigma Yellow Belt. You'll learn the core concept behind Six Sigma: DMAIC, which stands for define, measure, analyze, improve and control. You'll also learn the basic graphical tools used to define and measure, although you don't need knowledge of computers or statistics to complete Six Sigma White Belt training. You'll also learn how to understand the need for Six Sigma and how to ask questions to help you better understand your role in Six Sigma projects, whether you're providing support or playing a hands-on role. This training provides an overview of Six Sigma principles, teaching employees what questions they need to ask in terms of what role they can play in the company's Six Sigma-related projects. White Belt training may not be sufficient for employees directly involved in Six Sigma projects, but it will help other employees understand the basic tools and principles and how the method affects the entire organization. According to Auburn University, which offers certification at all levels, Six Sigma White Belt training usually is geared toward "operator personnel," but because it is so basic, it is an ideal introduction for employees at any level. And for companies with a more flexible use of the method, a Six Sigma White Belt may suffice. Target, for example, doesn't require employees to be certified at a certain level; it just provides the tools and allows its staff to use them however they can, the company told "Businessweek" magazine.